Preheat the oven to 350 degrees F. In a stand mixer, cream together the softened butter and sugars until smooth. Next, add the eggs one at a time and pour in the vanilla and almond extracts. In a mixing bowl combine the flour, salt, and baking soda. Gradually add the dry mix to the creamed mixture. Once well combined, stir in the macadamia nuts, chocolate, and cranberries. Use a small spoon to drop the cookie dough onto ungreased cookie sheets and bake for about 10 minutes or until a light brown. 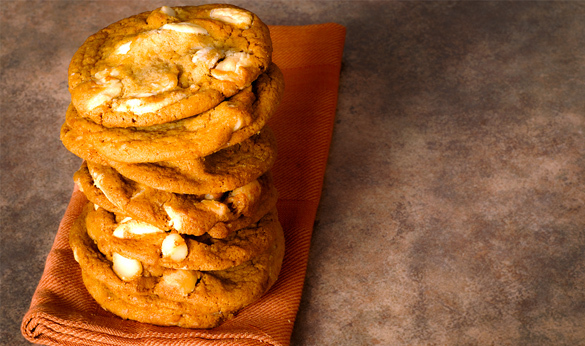 Now grab a glass of milk and a stack of white chocolate cranberry macadamia nut cookies to enjoy.